Occasionally our customers need something very unusual. This wedding's finale consisted of a traditional wine glass breaking ceremony. 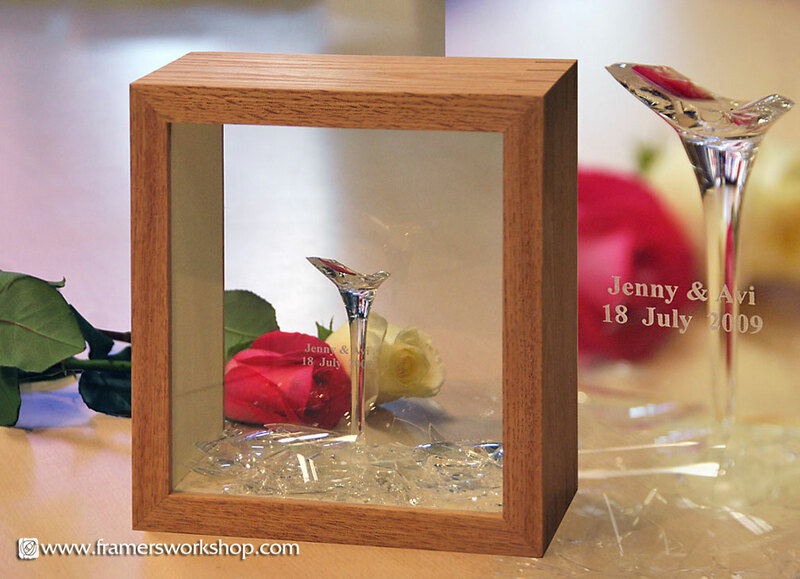 For the anniversary, the broken wine glass was framed in two sided oak box frame and glazed with etched glass with their name and wedding date.